We will both be doing readings at the 11th Annual Colorado Spirit of Deaf Dogs Play Day on Saturday, September 11, 2010, at the Best Friends Pet Care. Hours are from 10am to 1pm, & the sessions will be 15 minutes long. We are so grateful for the helpful insight of both Val and Tom! 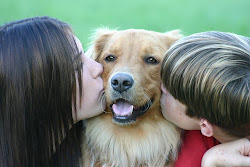 Val's animal intuitive gift has been such a blessing to our family. She has helped us correct behavioral issues and allowed us to better understand what the heck our fuzzy ones are thinking! As a result of Val's loving guidance, our 3-kitty household (ages 2 through 20 years old!) is harmonious and everyone is happy and healthy. We turn to Val for guidance often and always come away enlightened. We are so grateful for Val's gifts and have referred many of our friends and family to her for help with their fuzzy family members. 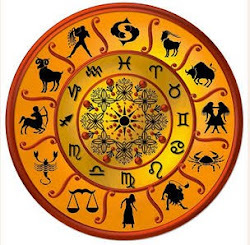 And we appreciate the guidance that Tom's astrological readings provide! Tom's charts are thorough and his explanations extremely detailed. What impresses us is that he truly loves and lives his work - meaning that he has a deep understanding of what he is doing and passes that experience and knowledge on through his readings. All YOU have to do is follow the guidance the stars provide! Val and Tom are truly a blessing. We trust them implicitly and rely on their gifts to help guide us along this crazy path of life.